There’s little that’s more magical than writing a letter to Santa, and getting excited about his visit. There are so many different ways you can keep the magic alive for as long as possible, and enjoying some Christmas traditions with your kids is a great way to enjoy the build up to all the festivities. One of the easiest ways to get them into the spirit (and to give you a head start on the shopping!) is to get them to write letters to Santa, so he (and you) will know exactly what to leave them under the tree on Christmas Day. From the top Christmas toys of 2018 to more ‘imaginative’ gifts, like a new baby brother or a unicorn (each equally as likely to appear on Christmas Day we’d imagine! ), we’re sure your little ones will have lots of ideas for their Christmas list. 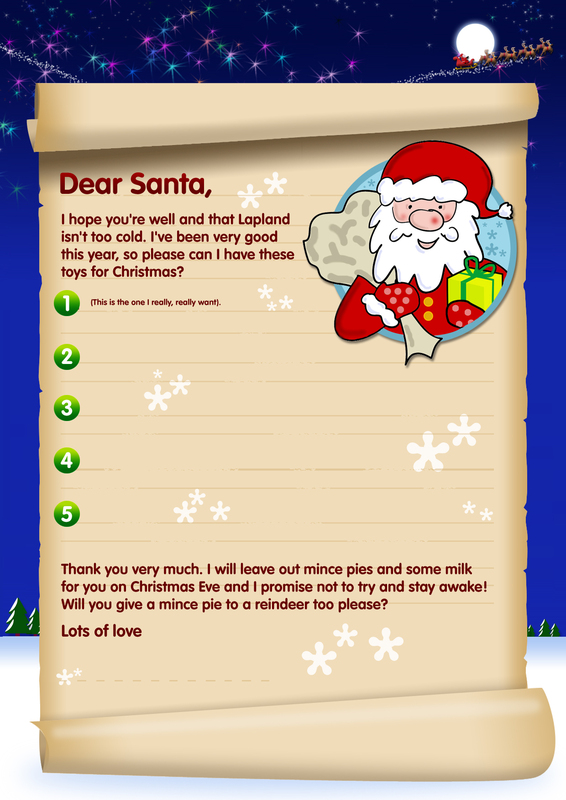 We’ve got a lovely – and FREE – way to make writing a letter to Santa extra special. Our free letter template can be downloaded and printed in the comfort of your own home. Then all your little ones have to do is fill in their Christmas gift choices. To make the letter writing even more enjoyable, why not listen to some festive songs and rustle up some Christmas biscuits and cookies together? Plus, don’t forget to whip up some mince pies to give to Santa on Christmas Eve too! If you send the letter by Friday 7th December you’ll even get a reply from the big man himself!